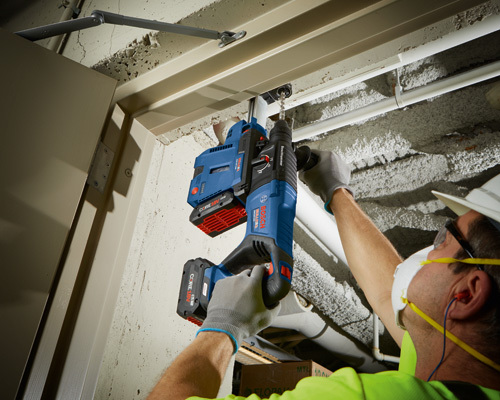 This 18V mobile dust extractor allows users of the Bosch 18V D-handle Bulldog™ to achieve maximum mobility around the jobsite along with a dust-extraction solution. 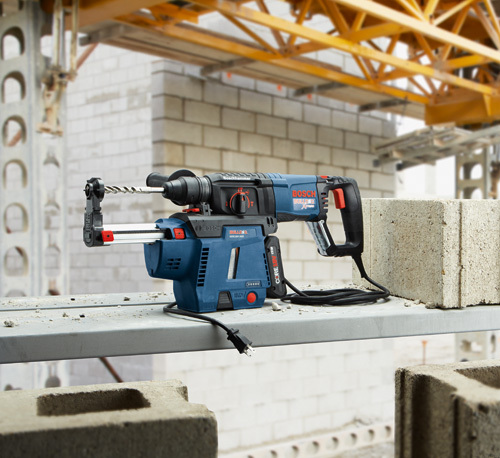 The GDE18V-26D Mobile Dust extractor provides a true cordless solution when used with the 18V 1 In. 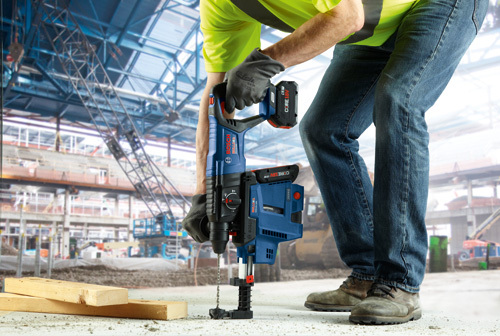 GBH18V-26D In-Line Bulldog™ rotary hammer. It is also compatible with the legendary corded 1 In. 11255VSR and the 1-1/8 In. 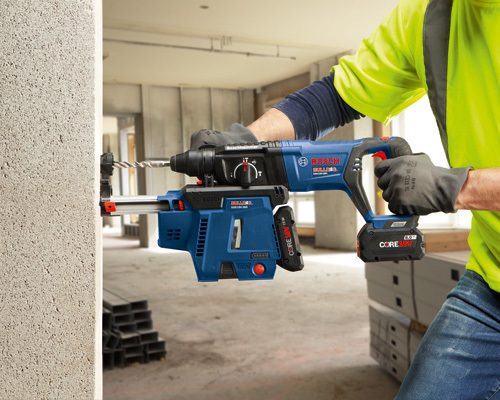 GBH2-28L and RH228VC Bulldog™ rotary hammers. 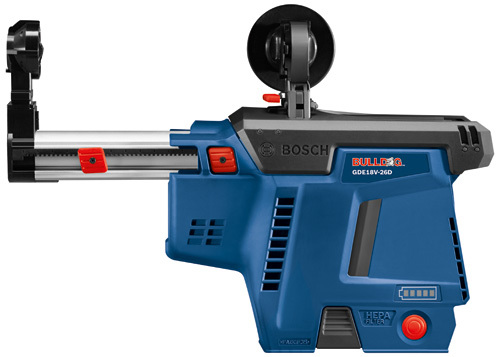 The attachment is powered by a Bosch 18V battery (sold separately). 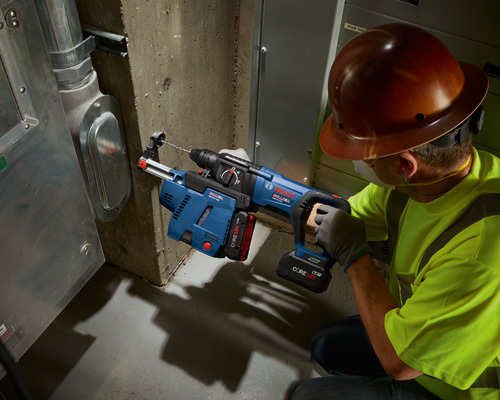 It features a HEPA filter, helping users move toward compliance with OSHA silica dust regulations. 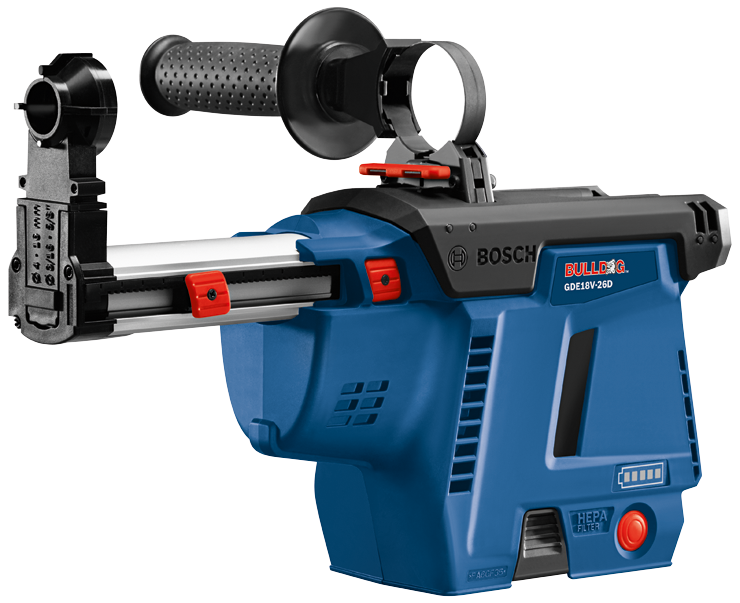 It helps to reduce harmful airborne silica dust and reduce the labor required for dust clean up after drilling. The attachment comes with two Dust-Eye options (one small, one large) and a 4 In. extension. The large Dust-Eye accommodates bit diameters up to 1 In. 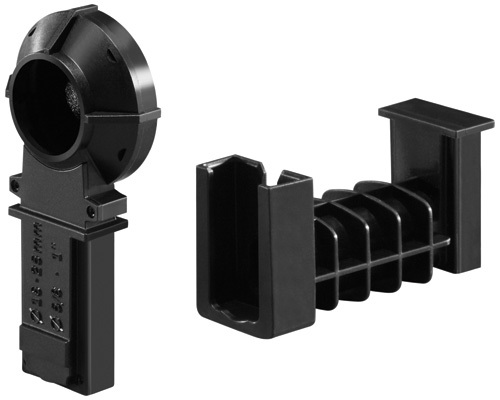 in diameter and the extension accommodates bit lengths up to 10 In. in length. 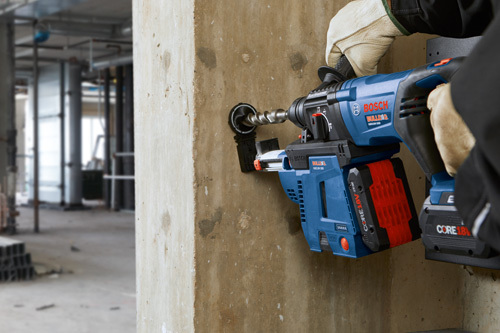 The extractor has an aluminum guide rail for durability and smooth retraction of the Dust Eye during the drilling process. The dust canister capacity can accommodate up to 20 holes using a 1/2 In. diameter bit, drilling 2 In. deep into concrete.